Blood tastes like steel seeds, and skinned knees on sidewalks. And I need the salt freedom, blood bleeds on my lips my love. 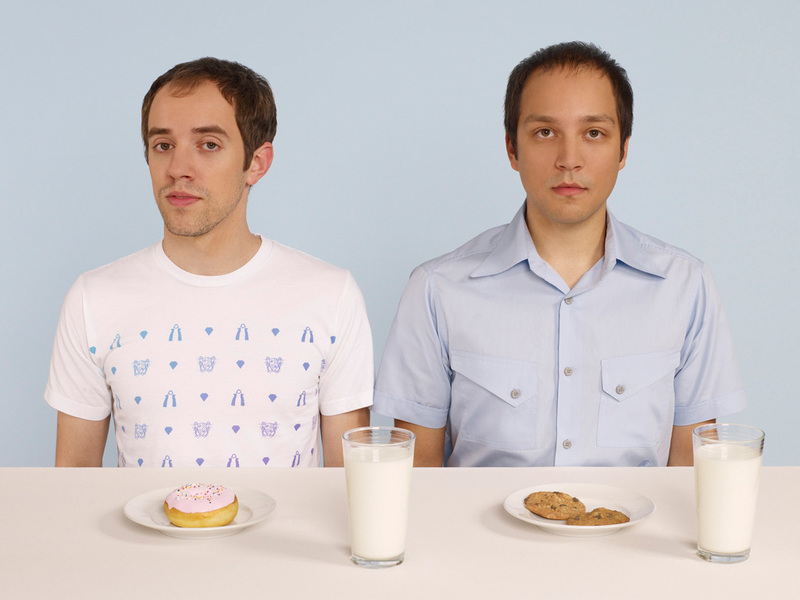 The Helio Sequence are an indie rock duo based in Portland, Oregon. Band members Brandon Summers (guitar, vocals) and Benjamin Weikel (drums, keyboards) first met in middle school in Beaverton, a suburb of Oregon, and formed the band in 1999. Made up by just two members, The Helio Sequence fill in their psychedelic rock sound with a variety of looped electronic effects and keyboards to augment Summers guitar and vocals. The band self-recorded their debut album Com Plex, and released it in 2000. Soon after, they signed to Cavity Search records, releasing Young Effectuals in 2001. With their popularity growing, band jumped to famed indie label Sub Pop for their 2004 album Love and Distance. Following aggressive touring for the album, Summers lost his voice, and was forced to undergo therapy and lifestyle changes to regain it. After teaching himself to sing again, the band released their fourth album Keep Your Eyes Ahead in 2008. Portland psych-rock duo The Helio Sequence are the sonic version of a kaleidoscope. Not just because of their psychedelic touches (though that helps), but because of their combination of styles. Their songs move with a restless energy, twisting folk, electronic, rock music together into a swirling pop mass. Made up of vocalist and guitarist Brandon Summers and drummer/keyboardist Benjamin Weikel, the two musicians have been making music together since the late 90s, when they met as middle school students in a Portland, Oregon suburb. Over the course of their four full-length albums, the Helio Sequence have mixed electronic textures and rock in innovative ways, showing they're just as likely to make music influenced by Bob Dylan as Radiohead or Brian Eno. “You Can Come To Me” from their 2008 album Keep Your Eyes Ahead, begins with bleeping 8-bit synths, but soon shows Dylan influence as Summers adds gently strummed acoustic guitar and his poignant vocals. The Blonde on Blonde-style guitar riffs -there's even harmonica in the track- flows together totally naturally with the electronic textures, supporting each other, never feeling forced. Beginning with dreamy ascending keyboards and quickly adding Weikel's complex, grooving drumming (he also plays for Modest Mouse), “Can't Say No” is one of the albums strongest tracks. Summers' spitfire, echoing vocals sound almost stream of conscious as they ricochet off classic indie rock lead guitar and the lush keyboard textures that are ubiquitous in the band's music. Among all this talk of complexity and genre-bending, let's not overlook the fact that the Helio Sequence write spectacular choruses, plain and simple. “Can't Say No” has got a memorable chorus that could moonlight in a Strokes song, and similarly singable and compelling choruses pop up throughout Keep Your Eyes Ahead.” The Helio Sequence are far from the only band spinning together electronic, folk and rock these days, but their mixture is uniquely earnest and energetic, all the different elements feel absolutely necessary.